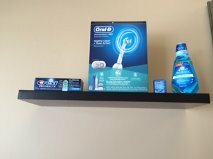 The oral health of your entire family is our top priority. Our Plainfield dentists understand that many of our patients have a fear of dental visits so our staff is here to provide you and your family with the understanding and gentle care that you deserve. At Today’s Dental of Plainfield, we offer convenient appointment times, the latest in dental technology such as digital panoramic x-rays and intraoral cameras and lots of patient education for you and the family. Our office is proud to accept most dental insurances including Medicaid and will work with you to make treatment affordable, easy and effective. non-family referral you send us!